Each panther that has been radio-collared in Big Cypress National Preserve has a unique life history. You can get to know some of these rare cats, as Annette shares interesting details of their lives while showing the beautiful photography of Ralph Arwood. Since 2003, Annette Johnson has been involved with the conservation and management of a variety of animal species within Big Cypress National Preserve. As a member of the Big Cypress National Preserve Florida Panther Capture Team, she is involved with the safe capture, handling and monitoring of adult panthers and the medical workup of panther kittens at den sites. Experience an interactive, humorous learning activity that will teach you all about Florida panthers. The activity will feature a multiple choice test format. It will delve into Florida panther facts such as their basic life history, myths and rumors and frequently asked questions about panthers. 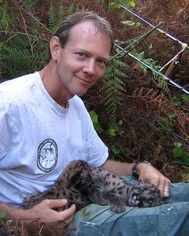 Hailing from Ohio, Mark Lotz has a degree in wildlife management from The Ohio State University. He moved to Florida in 1992 where he worked as a seasonal wildland firefighter at the Florida Panther National Wildlife Refuge for three seasons. In 1994 he was hired as a wildlife biologist on the panther project for the Florida Fish and Wildlife Conservation Commission where he has worked ever since. His main role on the panther capture team is the tree climber. If a panther falls asleep in the tree during a capture it’s his job to climb the tree to remove the panther. Mark also deals with most of the human-panther interaction issues and investigates when someone’s animal is preyed on by a panther. In his spare time he likes to kayak and fish. As the Florida panther population increases, interactions between humans and panthers are becoming more frequent. In recent years, ranchers have reported that calf depredation by predators, specifically by the Florida panther, has been increasing. Ranches provide important habitat for the Florida panther and therefore ranchers’ acceptance and support is critical to the successful recovery of the Florida panther. To examine the issue of calf depredation more closely, we have designed a study to quantify calf mortality caused by the Florida panther. To do this we are tagging calves with ear tag transmitters so that all calf mortalities can be documented and evaluated for cause of death. If the cause of death is predation, the predator responsible is identified. To date we have confirmed that panthers of both sexes have killed calves and that one panther has killed more than one calf. The second year of the study began September 2012 and the research is being conducted on two ranches in southwest Florida. Aliese P. "Liesa" Priddy of Immokalee was appointed by Gov. Rick Scott to a five-year term effective Jan. 6, 2012. A third-generation Floridian, Priddy learned about hunting and fishing from her parents and grandparents at a young age. Commissioner Priddy owns and operates the JB Ranch in Southwest Florida. As a rancher, she has a deep understanding and respect for the culture and heritage of ranching in Florida, as well as for the value that land management and species conservation bring to her 9,300-acre working cattle ranch. Priddy has served on the Ave Maria Stewardship Community District since 2005, and served on the Big Cypress Basin Board from 2004 to 2010. Priddy received the 2011 Land Conservationist of the Year Award from the Florida Wildlife Federation. 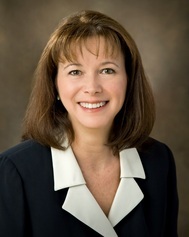 Priddy received a bachelor's degree from Georgia Southern University and attended the Graduate School of Banking at Louisiana State University. Caitlin grew up in Vermont and her interest in big cats began when her elementary school decided that their mascot was going to be the Panther. The year following college she was awarded a fellowship that allowed her to travel the world and study a topic of her choice. Her self-designed project entitled, the Coexistence of Big Cats and Humans, focused on areas where there were conflicts between big cats and humans as well as conservation initiatives to help decrease these conflicts. During this year she studied snow leopards in Mongolia, Iberian lynx in Spain, cheetahs in Namibia, and jaguars and pumas in Belize and Guatemala. 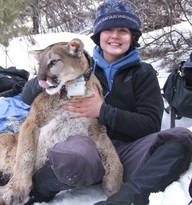 Caitlin has also worked with wolves in Idaho and pumas in Colorado. Caitlin earned a Bachelor’s degree in Biology from Hamilton College and is currently a master’s student at the University of Florida. The calf depredation study that you will hear about today is a main component of her master’s thesis. Earlier this year biologist Joe Guthrie, conservationist Mallory Lykes Dimmitt, filmmaker Elam Stoltzfus and photojournalist Carlton Ward Jr. trekked 1,000 miles in 100 days from Everglades National Park, Florida to Okefenokee National Wildlife Refuge in southern Georgia. The group traversed the wildlife habitats, watersheds and participating working farms and ranches, which comprise the Florida Wildlife Corridor opportunityarea. The team documented the corridor through photography, video streams, radio reports, daily updates on social media and digital networks,and a host of activities for reporters, landowners, celebrities, conservationists, politicians and other guests. Come experience an exciting presentation about their unprecedented expedition by Joe Guthrie. He'll show what they saw and give insightful details about their expedition, especially as it related to Florida panthers. 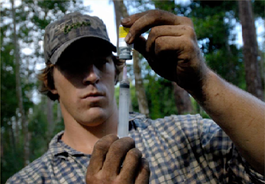 Joe Guthrie migrated to Florida while working for the University of Kentucky to document the ecology and conservation of a small population of the Florida black bear in Highlands and Glades counties. His interest in conservation stems from an outdoor upbringing in rural Kentucky, where he hunted and fished the hollows of his family farm. After receiving a B.A. in English from Centre College, Joe made his way to the mountain west, where the vast landscapes and wide‐ranging, charismatic species brought into focus the importance of wilderness protection and landscape conservation. Following stints as a rafting guide in Wyoming and professional football player overseas, he returned to school under the tutelage of conservation biologist Dr. David Maehr at the University of Kentucky. Joe collaborated on multiple research projects, focusing on neo‐tropical songbirds, Kentucky elk, before taking on the role of team leader for Florida black bear research. Joe’s master’s thesis focused on the function of corridors and highways crossings for bear movement in the fragmented landscape of south‐central Florida. Researching the wide‐ranging black bear allowed Joe and his UK colleagues to connect with ranchers and stakeholders from many backgrounds, and through their cooperation the bear project continues today. Their work was the subject of an article in the May‐June issue of Audubon Magazine, has been featured on National Geographic Television and CNN, as well as multiple features in the St. Petersburg Times of Florida. This special population of bears, centered on private land in a part of Florida that is little known to the outside world, provided the inspiration for the Florida Wildlife Corridor Expedition.